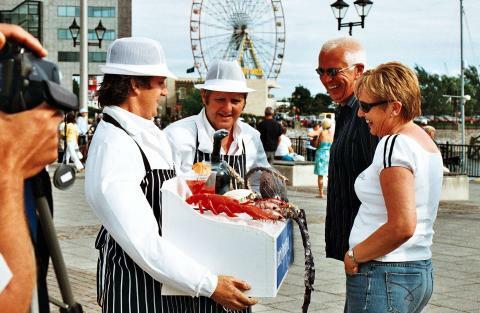 The Fish Company is a seaside walkabout comedy act – moving through your crowd, selling the traditional fare of a seafood from a lively seafood tray. 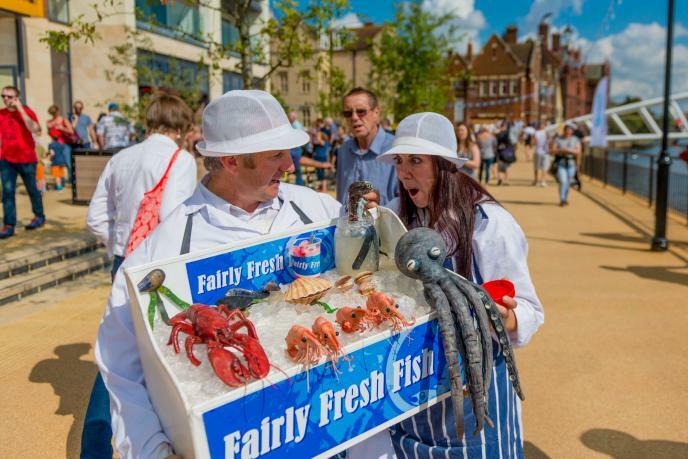 Quickly the audience realise that this is no ordinary tray of seafood! 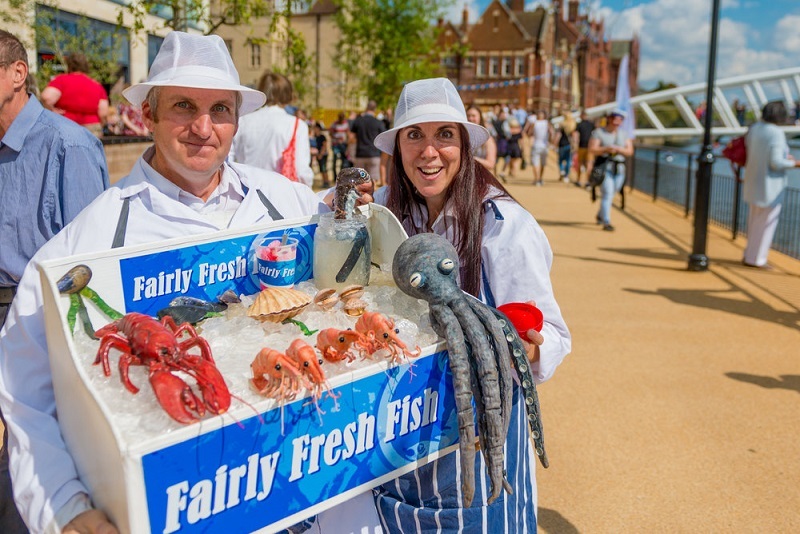 See their prawns dancing and an octopus come to life, whilst witnessing stirrings in the jellied eel jar and a worrying seafood smoothie, amongst other delights… eye catching and superbly silly. All the sea food creatures are made with great attention to detail and are fun. The illusion of the sea food coming to live is achieved by using fake arms to hold up the seafood tray. 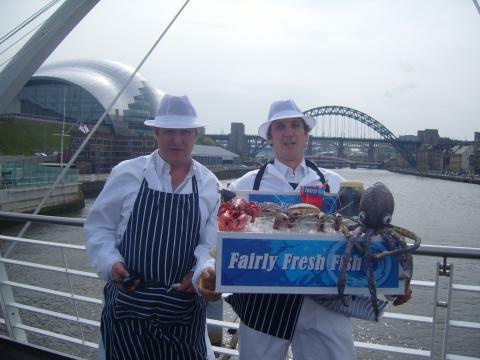 The performers can animate the sea food from the underneath the tray. Each seafood creature has its own fun story. 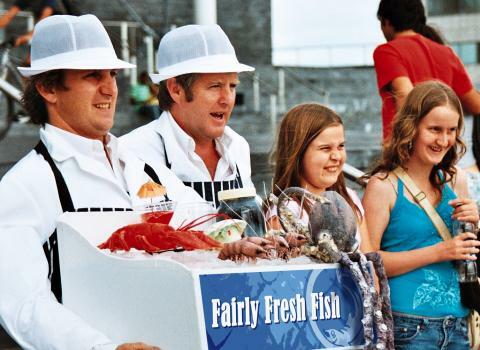 Only saw the Fish Company last week – they were awesome! They were fab – well funny, everyone laughing and having a good time.